Joe's Seaside Inn is located in Sanya Bay, near the intersection of Jixiang Street and Sanya Bay Road, a 2-minute walk from the beach. It is about 30 minutes away from the Airport by No.8 bus or 20 minutes by taxi. Only15 minute walk to shopping mall. This is a five floor building. There are seven rooms on each floor. All rooms are furnished with air-conditioner, TV set, Wifi (Internet access), bathroom with 24 hour hot water. Rooms are 12 to 20 meter square big. We offer Airport Transfers. Staying here with us will let you enjoy the beach, have the convenience of inexpensive bus transport, meeting and seeing local people, visiting shops, restaurants and all that our city offers. 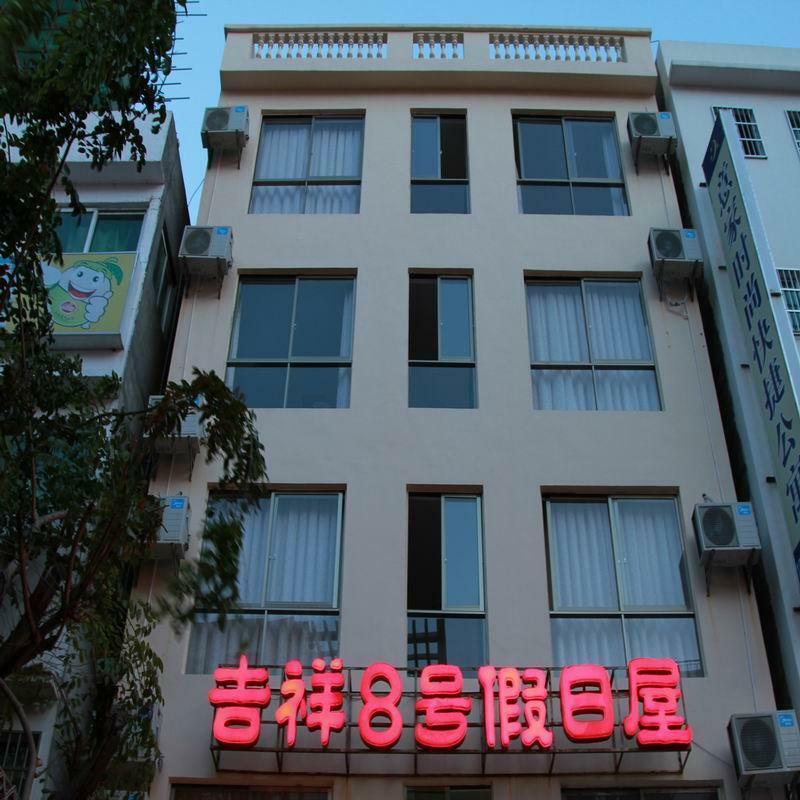 Our goal: providing you with clean rooms and amenities as well as a comfortable and safe environment, communicating with you in English, helping you in getting around Sanya. Your happy stay in Sanya is our best wish and determination. Take No.8 bus and get off at Stop of Jixiang Road (about 30 minutes, bus fare is 4 Yuan/person). Take a taxi directly to No.8 Jixiang Street (about 20 minutes, taxi fare is roughly 30 Yuan). Call us, we can pick you up at the Bus Stop or we can tell the taxi driver how to get you to us. Take No.4 bus and get off at the Stop of ICBC Bank just before Jixiang Street, 5 minutes walk to the hostel. Take a taxi directly to No.8 Jixiang Street (about 15 minutes, taxi fare is 15 Yuan). Write below Chinese address on a paper, a driver will know where to get you to: ???8???????? ?